I've been reading this book by Baje Fletcher called A Goal Digger's Guide and it's an excellent read. It's about getting what you want without giving it up. I thought I would share with you some of the tips from her book. And when you're done reading you are going to want a copy. Heed the wisdom that others have poured into you. You can save yourself time, energy, and heartbreaks if you listen to others and learn from their mistakes. With a combination of experiences, instincts and street smarts, you can be a step ahead of the game. Life is about challenging yourself and going after the things that most people only dream about, whether they are materialistic or person achievements. You live life to the fullest when you realise that it's not about settling, but rather constantly setting GOALs and pursuing them. A GOAL Digger is a female that utilises her surroundings to the maximum to achieve her GOALs and better her life. A GOAL Digger is an individual who knows what she wants out of life and isn't afraid to think and step outside of the box to make her dreams into a reality. She's a risk-taker. A focused, self-sufficient, self-driven, and GOAL-oriented individual who is committed to success and accept that failure is simply not an option. -Never apologise or justify anything. When he sees you as more of an authority figure, he'll be more compelled to give you what you want without asking questions or second-guessing you. -Avoid promises at all costs. A promise is a technique guys use to ensure you stick around. -Never let a guy know all you know. -Looks capture attention, but personality captures the heart. - Perfection is only perception. Learn to love you. The above are some of my favourite lessons, and they are sinking in. If you want to read the full lessons and everything else this awesome book has to offer, get onto amazon and by a copy now! What are you waiting for? 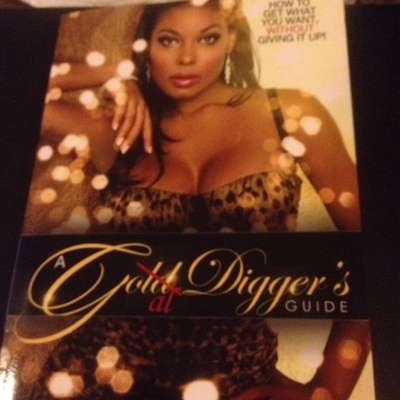 A Goal Digger's Guide by Baje Fletcher.